Gentec offers the world’s widest range of guns, applicator and tips. Thanks to the invention of the gun in Mastic, COX™ has become the world leader in the market for applicators and chose Gentec for its distribution in France. In total, more than 90 models, designed for both professional and amateur use, will allow you to get around the most technical construction works. All Gentec products are customizable to your company badge (engravings, markings and colors) and can be fitted on request. 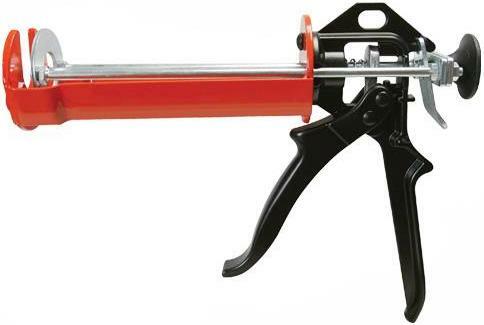 Find below the range of applicators Mono-components, Bi-components, Eclipse and Solo-clamp. Specially designed for DIY enthusiasts and professionals, the range of Gentec applicators is made of 100% Cox UK manufactured products, including manual, pneumatic or battery applicators. They allow you to undertake the most demanding jobs in guaranteeing long-term use associated with a level of safety and optimal control, and this wherever you need: to your fingertips. With over 33 models for the only mono-components applicators line, be sure that there is a solution for your needs. Divided into 10 categories (Easiflow, Midiflow, Powerflow, Ultraflow, Electraflow, Airflow Airflow II, III Airflow, and Ultrapoint Jetflow III), applicators meet all kinds of powers and viscosities. Discover now the new generation of pneumatic applicators Airflow III, stronger, more ergonomic and more powerful, already available. 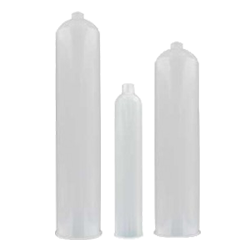 The use of applicators with two-component cartridge and of static mixers has proven to be an effective method in the dosing of reactive substances, such as adhesives and sealants. In recent years, production has increased dramatically with the increase use of applicators in all types of industries. Gentec now offers the widest range of two-component applicators in the world: more than 60 models designed for use with twin cartridges from manufacturers around the world. Through its partnership with Pc Cox ™, Gentec provides you with the new design of two-component applicators in preview. Review for more ergonomics and robustness, the Series A and B will soon replace the present range. Never mix the two-component sealants has been that easy. Initially available for the Bi-component applications, the Eclipse 600 will soon be joined by the Eclipse 400 and Eclipse 200. These applicators designed for professionals boast a brand new aerodynamic design combining strength and weight loss through an aluminum design and enforcement of technical polymers. The grip was performed with a flexible handle to facilitate long period uses. The applicator has advanced innovative features, for example, reloading in less than 30 seconds. Rugged, ergonomic and innovative applicator Eclipse is a small revolution in the application of sealants. With experience, PC Cox ™ has become an expert in the design of standard models. This results in an amount of classic and versatile products, matching the Cox™ guarantee of quality and coming from the mainstream product line. The manual applicators with clips of the range Solo-Clamp follow perfectly your primary needs in applications. In addition to an excellent quality / price ratio, these models have a consistent clamping force, resist corrosion caused by the sliding components, and require only one hand to use. The applicator clips Solo-clamp is then an extra hand to help.